Why have we deleted our portfolio photos from Houzz? Quite simply, we love what we do. We combine our passion, professionalism, and experience to create homes where our clients say they feel happiest. Our 17 years of repeat and referral clients show our long track record of delivering projects on-time and on-budget. If you are unfamiliar with Houzz, it is a platform where professional designers, home builders and architects share their work. When I was first invited to join them, it seemed like a fair exchange. Houzz would get traffic to their website and have a pool of inspiring, beautiful interiors provided by designers and building professionals. They would sell ads and in exchange we would have potential clients visit our website. And that’s what happened…for a little while. Houzz adjusted their business model and now tags and sells products “similar to” items on uploaded photographs. We can take NO RESPONSIBILITY when those items DO NOT WORK in your home. CAVEAT EMPTOR. In our firm, lighting, size, proportion, shape, form, scale and texture are carefully calculated and balanced against other elements in each room we design. In addition, all components are screened for our client’s health, wellness and budget. In interior design, every element selected has ramifications and making a change without taking the entire room into consideration is detrimental to good design. Design has never been about BUYING things. ANYONE can buy things. Design is about knowing WHAT to buy and WHY. Houzz allows consumers to ask questions about portfolio photos. The idea was that it fostered healthy dialog between design & building professionals and potential clients. Again…great in THEORY. My fellow professionals soon found that we were receiving inquiries from people all over the globe. As a designer this is frightening! SO MANY THINGS AFFECT paint color, not to mention the distortion of the camera lens and then the monitor that the photo is being viewed from! What happens when the green-beige paint that I selected for my client’s kitchen renovation that works with the gold-vein marble counters looks downright HIDEOUS in your kitchen? To answer a question, which I acknowledge is simple, is actually more complicated than it sounds. Not least of which is having to dig through archived files. Vermont building codes are likely different than the codes in your state (which I don’t know.) But, more importantly, as a Certified Living In Place Professional, my first thought is: “Why do you need to know how wide this hallway is?” Is it for accessibility reasons? Crowd-sourcing information related to the health and wellness of a person is a dangerous idea. My client fell in love with this tile after our presentation. Modern but classic and it has just the right color undertone to unify the shower tile and quartz counter top. Plus, it looks AMAZING with the custom vanity. When the tile was delivered at the job site, the pallet was accidentally dropped and broke more than half of the tile. So…. we spent 3 hours on the phone trying to find enough in-stock tile shipped to have the job completed on time and not delay the tile installer. They only had a larger size tile in stock, so we had to order that and we asked the tile installer cut them to the correct size. As we know, when one tradesperson is delayed, it delays all the others. Ummm….I’m sorry, what was the question? My firm’s number one priority is to SERVE OUR CLIENTS. And to serve them well! 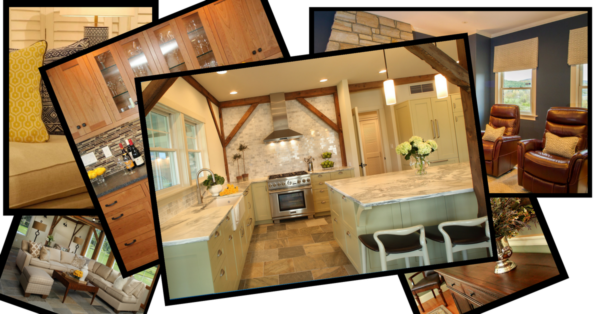 We tailor and customize each project to our clients’ needs, taste and budget. For that reason, we decided to remove our portfolio photos from Houzz and have them featured here, on our website. So, while we appreciated the accolades, comments and inquiries on Houzz, we decided that we needed to focus our effort and energy on the two things that matter most: our clients and good design.